January 31, 2011  Ford is working with other major automakers to turn vehicle-to-vehicle communications technology into a basic safety feature of every car. 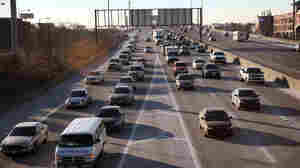 The wireless technology sounds an alarm to alert drivers if they or another car pose a threat on the road. January 28, 2011  Adel Iskandar, an instructor at Georgetown University's Center for Contemporary Arab Studies, speaks to host Michele Norris about the protests in Egypt and the role of social media. Digital Music Sampling: Creativity Or Criminality? January 28, 2011  The advent of the sampler in the '80s brought a long tradition of musical borrowing into the digital age. Today, "sampling," or repurposing a snippet of another artist's music, is mainstream. Is sampling theft, or is copyright law making creativity a crime? January 28, 2011  A new camera may make finding and sampling blood spots easier for crime scene investigators. Chemist Stephen Morgan describes a thermal infrared camera developed by researchers at the University of South Carolina that can spot blood spatter not visible to the naked eye. January 28, 2011  Tunisian and Egyptian political activists used Facebook and Twitter to organize protests and publicize breaking news. Harvard's Jillian York discusses the use of social media platforms for digital activism, and cases in which governments have blocked the services or compromised user privacy. January 28, 2011  Sites like Bit.ly, which provide a service to users by shortening URLs, also get something in return — users' browsing preferences. Bit.ly's Hilary Mason talks about the services sites hope to provide by collecting such data, and the trade-off of less privacy for a more customized online experience. January 28, 2011  A solar panel manufacturer's decision to move its factory to China means the loss of 800 jobs in Massachusetts. 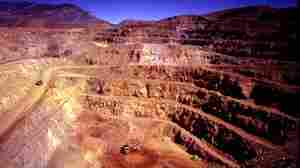 The state gave the company many incentives. But officials say the federal government needs to play a stronger role in keeping manufacturing jobs in the U.S.
January 27, 2011  In November, technology reporter Omar Gallaga began reviewing iPad apps for children. Since then, he and his 3-year-old daughter have become hooked. They've plowed through more than 50 apps, and they've discovered a whole new world of content for kids. 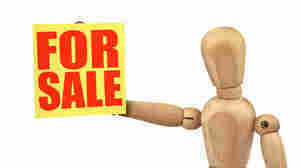 For Sale On the Web: You! January 27, 2011  In the digital age, writes commentator Dave Pell, it seems all we do is sell ourselves. Look how great my marriage is! Or my awesome workout! But this is leaving us overwhelmed. January 26, 2011  A team of U.S. and European researchers using the Hubble Space Telescope have captured infrared images of a blurry object they believe to be the oldest galaxy seen by man. January 26, 2011  The Obama social media operation was a juggernaut during the 2008 campaign. But two years later, Republicans have caught up. Now the White House has renewed its social media push with outreach on Twitter and YouTube following the State of the Union address. 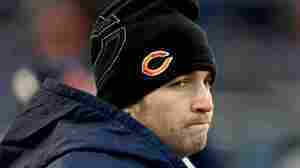 January 26, 2011  While Chicago Bears quarterback Jay Cutler sat on the sidelines of last weekend's championship game with an injured knee, his peers were blasting him in Twitter messages that essentially called him a quitter. The hurtful tweets have set off a debate about sportsmanship in the digital age.